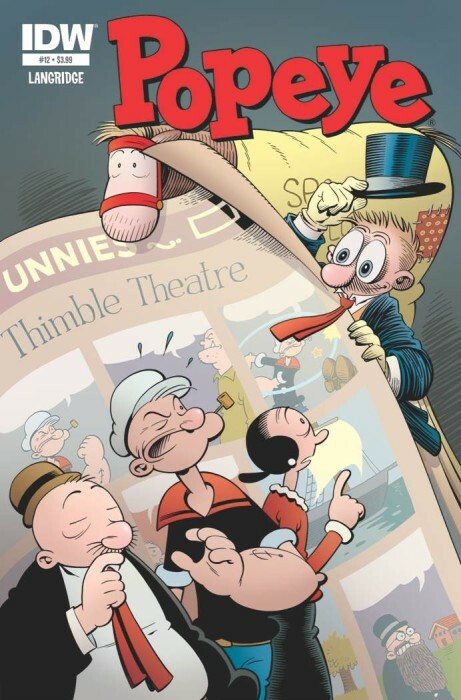 It may be surprisingly quick after the last issue, but Popeye #12 offers another fun story from start to finish. It might not be as in-depth of the previous issue, but it offers a fluid story with plenty of laughs along the way. Horse-racing, history-making hi-jinks this issue as Popeye meets comics’ most famous oat-muncher, the mighty Spark Plug—and his owner, Barney Google—for the first time ever! Plus: Pint-sized shenanigans as Swee’ Pea takes to the ring against the terrible “Berzerker Mazurka”! Story and art by Harvey and Eisner winner Roger Langridge. The premise is simple enough. After a game of cards gone wrong, various events lead to Popeye having to train a horse. The simple story opens up plenty of potential in terms of humor, something that can be seen from start to finish. Whilst it might not be the most complex story, there’s generally a good laugh or two on every page, with plenty to keep anyone interested. A lot of this is definitely down to the dialogue. Roger Langridge offers plenty in his writing. Whilst there are some simple puns and jokes, there’s even some self-referencing to the Popeye franchise as a whole. Its stuff like this that adds a little extra charm; its referencing Popeye as a whole, rather than previous issues or adventures; perfect for some light-reading that’s still highly enjoyable. 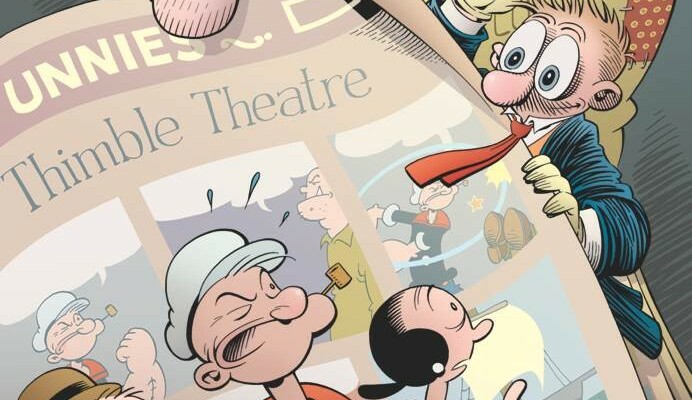 As far as visual appeal goes, Roger Langridge continues to keep it tied to Popeye‘s original look. It suits the action, as well the more goofy moments found in-between. My only complaint would be that the character of Barney Google looks to detailed and refined. He fits the tone of the title, but not necessarily the style of Popeye itself. Maybe this is deliberate, but its a small blemish in an otherwise great homage to a legacy such as Popeye. All in all, this is another strong issue for Popeye. Sure, its not the best this title has offered, but this is a decent issue that’s easy to pick up and read, offering a quick yet entertaining flick through its pages.